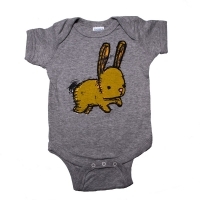 an adorable 2 color bunny illustration screen printed onto an avocado colored, 100% organic cotton Royal Apparel one piece. 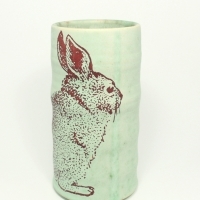 Made + printed in the USA. 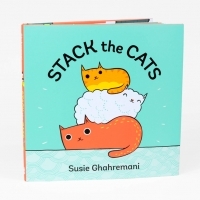 Everyday Balloons "Bunny One Piece"
Susie Ghahremani "Stack The Cats Children's Book"